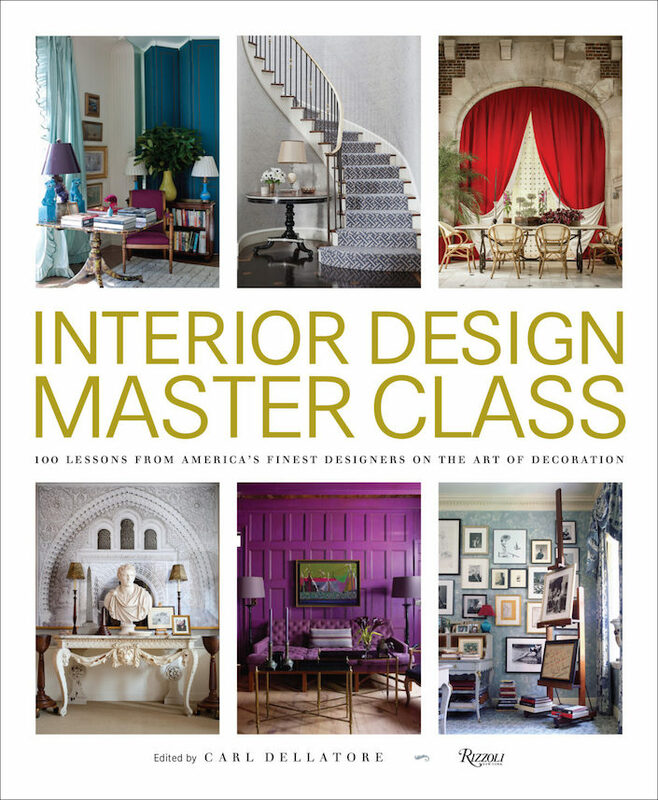 While there are many beautiful design books on the market that are inspirational, some with tips and hints, none has approached the topic with the rigor and intellect of Interior Design Master Class. Creating a library-worthy resource on design, the volume’s editor, Carl Dellatore, recruited one hundred top American interior designers to contribute essays on a particular aspect of design, interspersed with examples of their work. 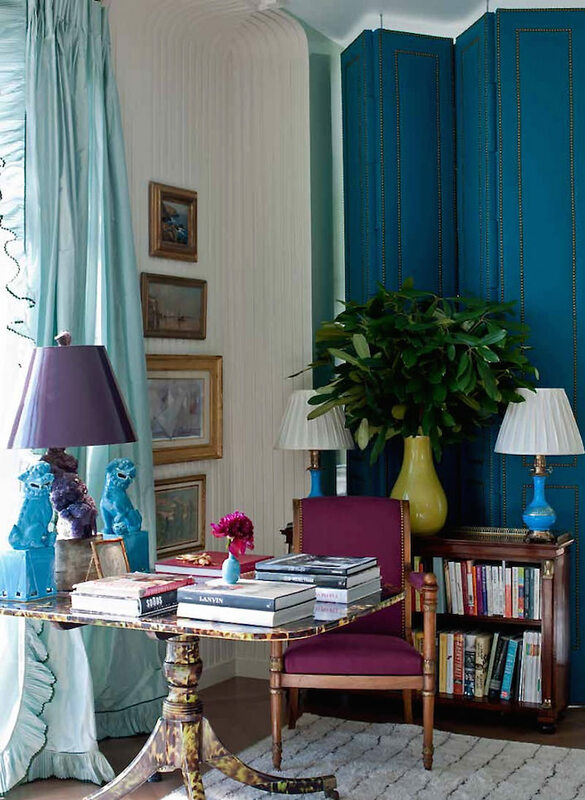 Useful for both aficionados and professionals, the volume reveals the meticulous and often heady process that goes into creating great interiors. You’ll be impressed with not only the knowledge and articulate musings of the designers but also the sometimes surprising sources of inspiration. 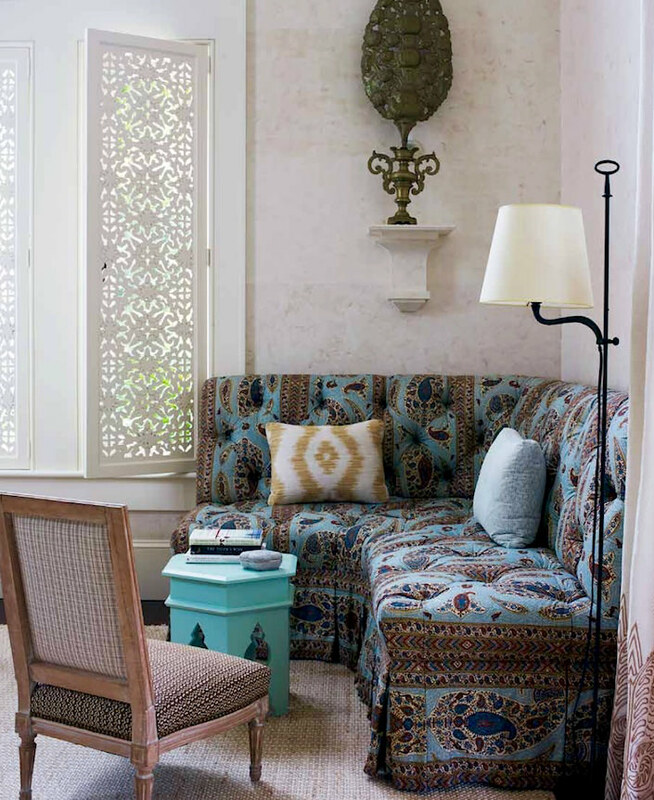 Carl is a long time design friend who, as a former textile designer, has always written astutely and intelligently about the world of interiors. I asked him what inspired him to take the next step to write Interior Design Master Class. “When the economy collapsed in 2008, it unfortunately took my textile design company with it. And so, like a great many in the design industry, I found myself in need of a reinvention. I’ve always had a keen interest in editorial development; having worked with House & Garden, Martha Stewart Living, and House Beautiful, I understand the value of content that connects with a specific audience. So I established a blog, and began devouring everything I could about content strategy online, while at the same time keeping my place in the design community by reporting on its activities. I asked Carl, in undertaking such an enormous exercise for a book that fit neither text book nor conventional coffee table design book categories, what exactly his objective was. “That’s an interesting question. There’s obviously no shortage of content within the design industry — some of it better than others. So I began studying what the digital presences of the major shelter publications were up to, as well as my fellow bloggers. And as an analytical thinker, I also began tracking social sharing numbers and community commentary as a gauge of a content’s success in connecting. There are so many talented designers practicing today, I’m sure it was challenging for Carl to choose who to include, so I inquired about how he decided on his selection. “I worked with a literary agent on my first book (The Fabric Style Book), and I took the idea for ‘Interior Design Master Class’ to her first. Unfortunately she felt no publisher would be interested in the project; it would be time consuming, and represent an insurmountable amount of logistical work. So I sat on it for a few months. Then, I reached out to my friend Alexa Hampton and asked her to meet me of a coffee so I might share the book’s concept. Gathering the roster of contributing designers grew out of the first conversations I had with Alexa and several other friends in the design community. Alexa was instrumental; she reached out to a dozen designers to share my idea, and was successful in convincing design legends Bunny Williams, Mario Buatta, and others to join the project. It was a bit like a snowball rolling down a steep hill from there”. 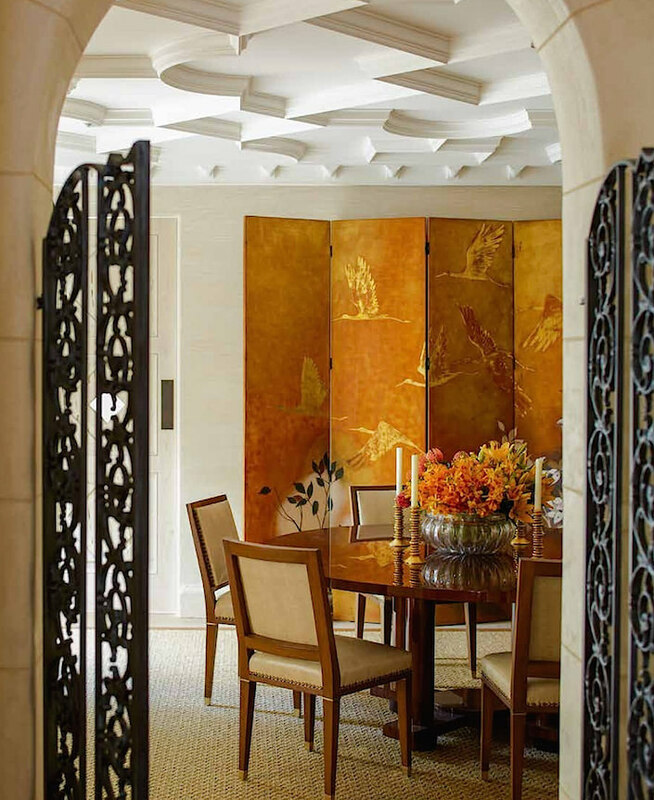 “Whether I am admiring an Adam room’s fan motifs or the pared down, deconstructed shapes of a building by Frank Lloyd Wright, our traditions are like our parents. We take from them, we discard some of their teachings, or we can plain rebel against them. With so much content from so many designers on so many topics, I asked Carl how he decided on the six larger chapters – Theory, Structure, Style, Process, Elements and Inspiration – for Interior Design Master Class. “It is an interior designer’s job to advance light’s power into a client’s home. Everyone has had the experience of living in a space that they either loved … or did not. And my hunch is that if you loved it, it almost always had something to do with the light. Interior design means many things to many people but I was curious what Carl thinks are the biggest misconceptions about the discipline that he hopes his book will dissuade. 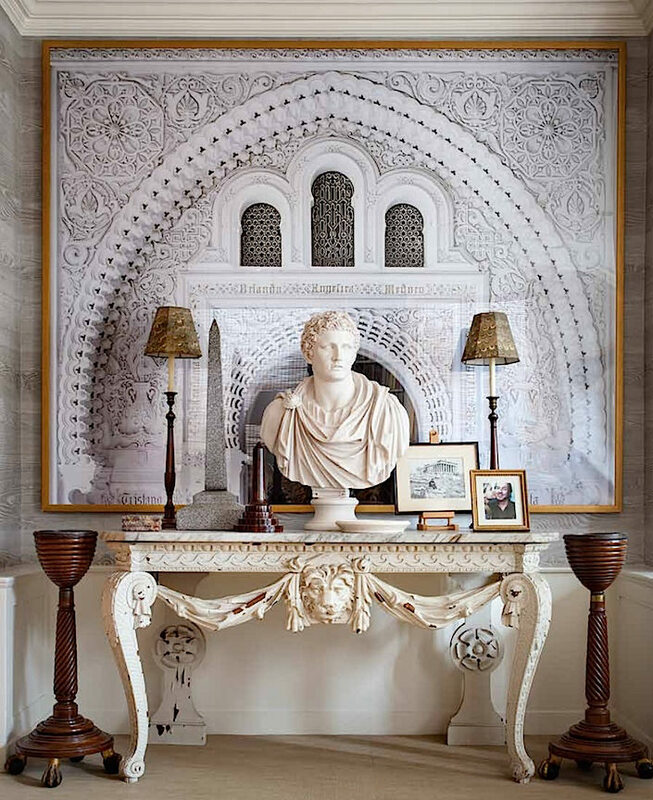 “One thing stands out above all else: In the public view, the practice of interior design is often thought of as all a play with surface — skillful and stylish, but ultimately superficial. What I believe this book does is to dispel that myth by uncovering the intellectual and philosophical meaning behind the decorative arts. Despite any misconceptions the general public may have about the art of creating successful design, the many individual topics in Interior Design Master Class make you realize how all-encompassing the practice of interior design really is. My final question to Carl was whether there was one main take away he would like his readers to have. 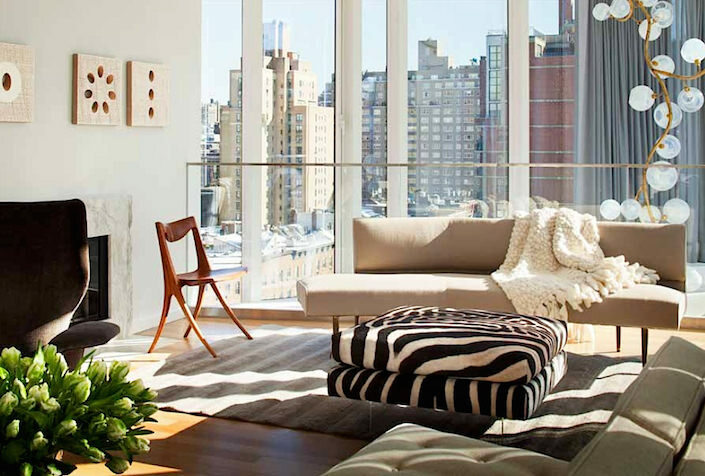 Interior Design Master Class is an indispensable addition to your design library. Easily approached through individual chapters, you will find yourself ruminating on the inspiration, advice and thoughtful commentary supplied by these experienced experts in design. It’s the next best thing to a class in design! This entry posted in architecture, art, books, interior design. 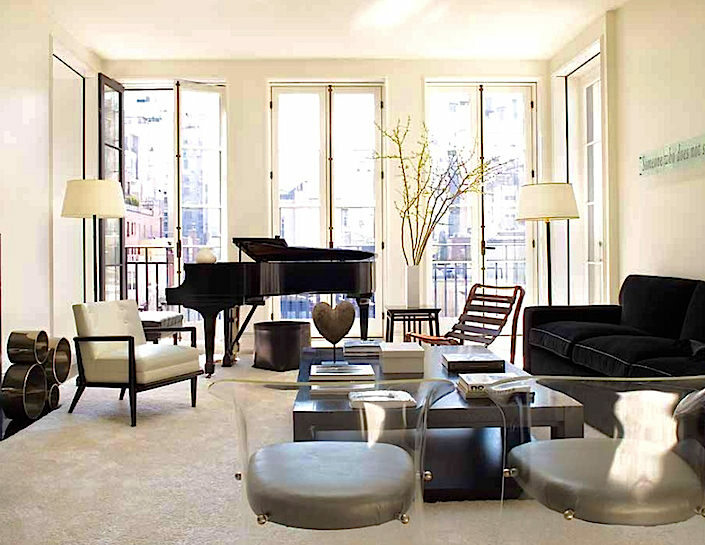 Entry Tags: Carl Dellatore, Design Books, interior design, Interior Design Master Class Bookmark the permalink. I will order this book today. I am excited to hear that someone has taken the time and care to explore the more intellectual side of the design process. And your thoughtful column is just the place to discuss such a thing Stacey–Thank you for another great year of Quintessence! What a wonderful idea for a book, and perfect for those of us who want to work on our sense of interior design but aren’t able to go to design school, for whatever reason, or don’t want a full-fledged career in interior design. Plus, it seems that so many of the finest decorators and designers haven’t gone to school but have had the good luck to work with great designers and be surrounded by well-designed spaces. Perfect timing for the holidays! Thank you for the review! A new approach in writing about design! 80 queries in 0.513 seconds.